Die Maschine ging nur neun Tage, nachdem es bei 401. Bombergruppe angekommen war, verloren. Die B-17 wurde später von der Deutschen Luftwaffe bei KG 200 mit der Kennung A3 + FB verwendet. This B-17, previously captured by the Luftwaffe was also interned; on June 21, the B-17G-10-VE, 42-39969 USAAF numeral (401st BG, 614th BS), took off from France piloted by Lt. Wolfgang Pohl. Carrying three German agents, a former member of the French Foreign Legion and an Arab in order to transport them to North Africa. For this, the plane carried extra fuel tanks to extend its range. After leaving Marseilles on June 26 began the problems with fuel tanks. 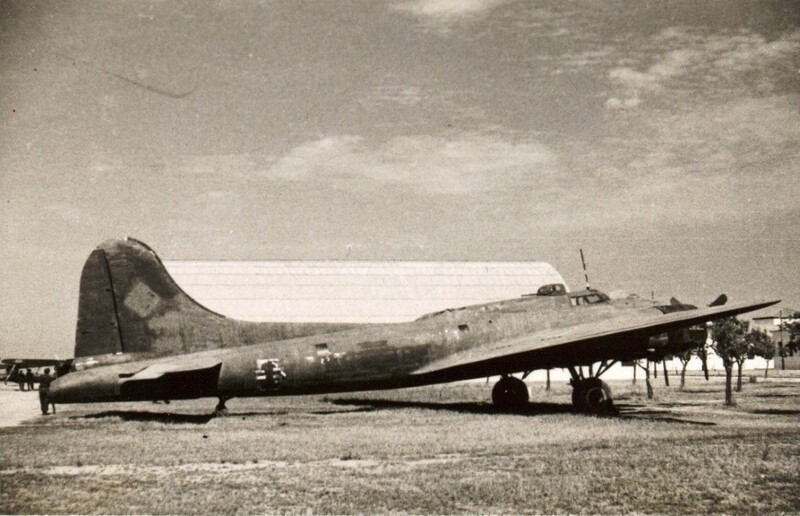 On June 27, 1944 this B-17 KG200 with German markings, registration A3 + FB, landed at the airport of Valencia Airport, where the pilot destroyed the flight plans and Agents were „secreted away“. The plane was interned, being parked in an inconspicuous location of the airfield, with the German brands covered, until the end of the war. It seems that in 1948 was still at the Valencia Airport. It was re-designated as a TB-17G on 27 April 1948 and was finally scrapped.